OK, there are more reasons. 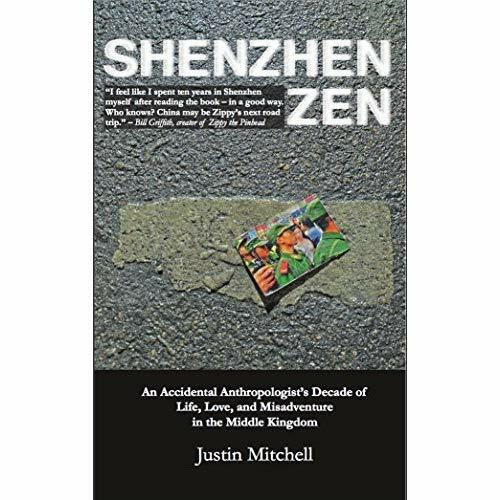 Mitchell, long-time reporter and editor for American publications wholesome and unsavory, found himself living and working in China from 2003 through 2012, moving from one journalism gig to another as one does — or rather, once did back when there was a plethora of publications to drift among. The resulting adventures could have filled a book, and did. His chronicles are great — like the best journalistic prose, his writing is snappy, to the point, and insolent. There is not one scrap of high-minded analysis here, nor the stench of any self-righteous soul-searching. Instead, Mitchell does what one is supposed to do. He tells us his story in as straightforward, honest, and entertaining manner possible, and succeeds. Mitchell doesn’t tread on the ground of history here (although he did dub Hong Kong’s somewhat infamous “milkshake murderer”). He stays in the zone of real life, at ground level, dealing in the daily details that define a life no matter where it’s lived. He looks for a decent place to live, tolerable food, cheap bars, and lively female companionship and even affection. The politically correct will not tolerate this book; a few chapters in they will shriek and puff themselves inside out like a kernel of outraged popcorn. The rest of us will thoroughly enjoy it. To be sure, Mitchell doesn’t hold back on sarcastic commentary, skewering the hypocrisies of the Chinese system, the ugliness of the Western visitor, and their mutual cultural incomprehension. Above all, he doesn’t kid himself, and we get a warts-and-all self-portrait as well. The result is an eloquent, raw, sharp-toothed take on a life, in a style that bears far more resemblance to reality than that of many memoirists. Journalists and comics are a lot alike. Both populations consist of inveterate gossips, excuse-makers, lowlifes, guttersnipes; bitter, twisted, sociopathic, and bitterly funny humans. Neither profession sports a union, for the simple reason that there is no solidarity in them besides at the bar rail. And both know how to tell stories. Mitchell’s books is crammed with them, and most are laugh-out-loud funny (OK, he’s not a clown — he breaks down and gets serious when appropriate). So do yourself a favor and read someone with no redeeming social value, but plenty of human value. Shenzen Zen is a good time.